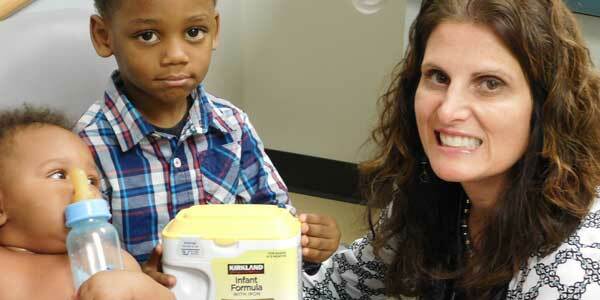 In January 2011, Freestore Foodbank and Cincinnati Children’s Hospital Medical Center Pediatric Primary Care Clinic launched Keeping Infants Nourished and Developing – also known as the KIND program. Since then, the program has expanded to 10 clinics within 4 health care systems. Through the program, clinic staff asks a series of questions that identify food insecurity. 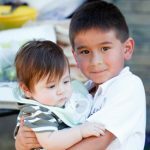 From there, they can provide baby formula to food insecure families, as well as connect them with nutritionists and social workers to help with long-term needs. The program is in response to alarming data coming out of the Children’s Pediatric Primary Care Clinic. Some 30% of infants seen at the clinic lived in food insecure households and 15% of moms were stretching formula by diluting it or feeding their baby less. Some 41% of mothers bringing their children to the clinic told staff that the food they bought simply did not last. Diluting formula deprives babies of the nutrition they need, and the KIND program is targeting this practice. Goals are to drastically reduce the number of people who dilute formula and to provide referrals to services that will help reduce food insecurity of these families. If you are interested in learning more about the KIND program or would like to become a site, please contact Ann Viancourt at 513-482-7295 or aviancourt@freestorefoodbank.org.